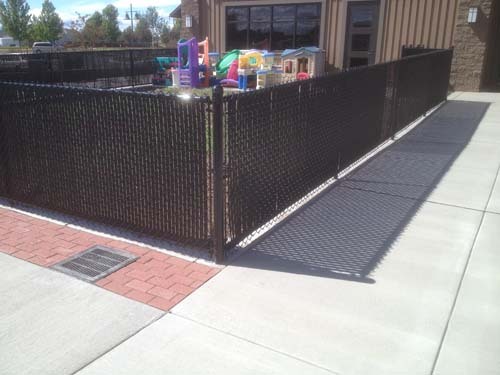 Chain link fencing with privacy slats for schools, play yards, playgrounds and sports fields. 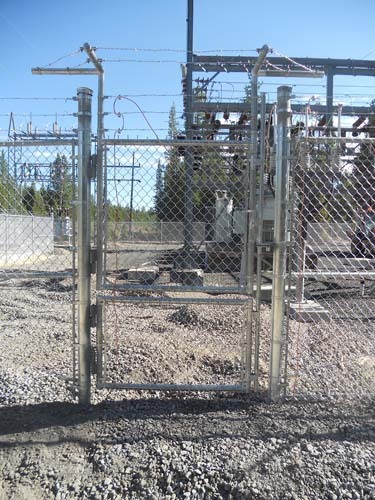 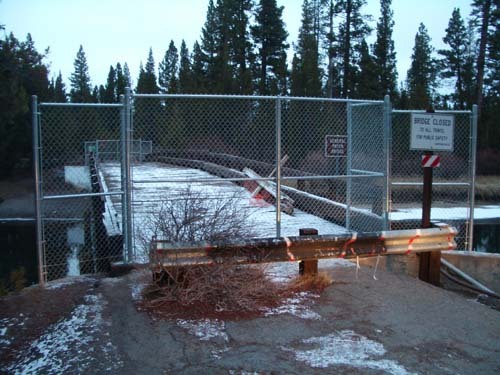 Custom chain link security gates with barb or razor wire and locks. 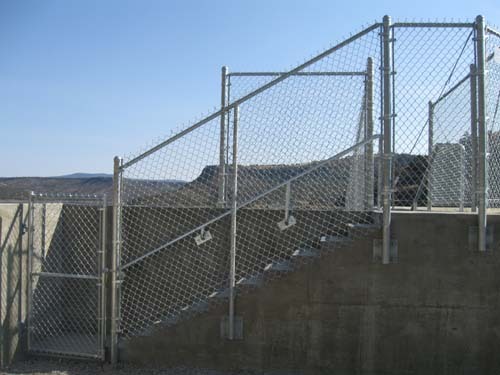 High grade security fencing with barb wire or razor wire top to protect your valuable property. 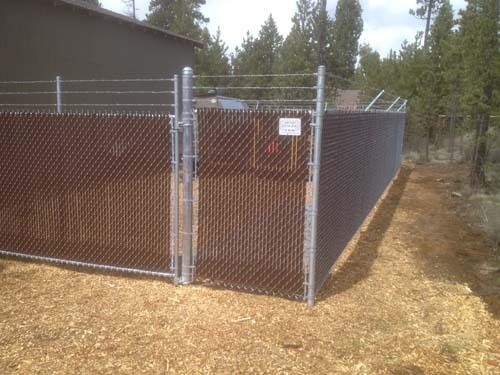 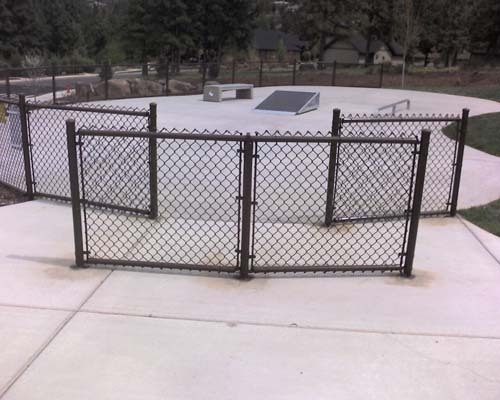 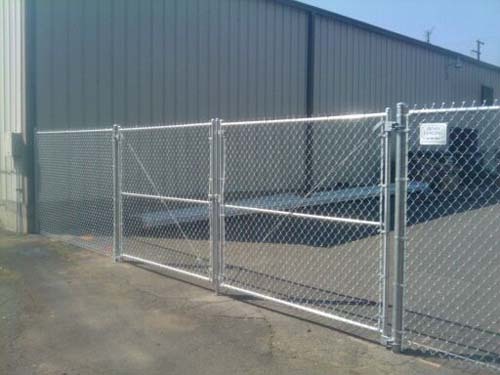 Chain Link enclosures for trash cans, dog runs, RVs, private property. 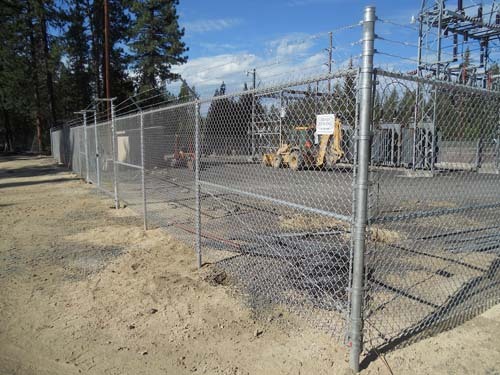 Chain link security fencing with barb wiring on top. 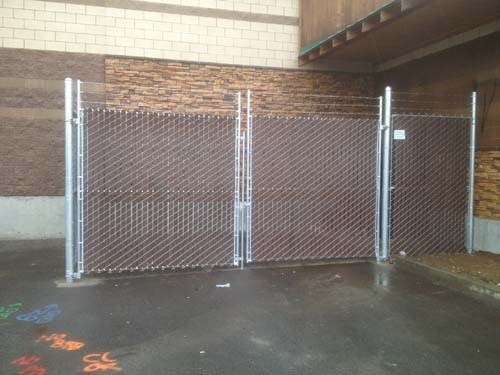 We build cedar, wrought iron, chain link and custom gates to match your existing or new fence.